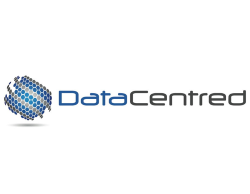 DataCentred is a leading provider of next-generation data centre and open-source cloud computing services focusing on clients with big research data sets. We combine colocation with powerful computer processing, advanced storage solutions and excellent network connectivity. Our solutions are based on open-source software which means customers benefit from low cost, data portability and lack of vendor lock-in to proprietary software and architectures. Our Infrastructure-as-a-Service cloud computing solution is based on the leading open-source software Open Stack and our storage platform is built using the secure, infinitely scalable Ceph.